Large collection of antique religious prints. 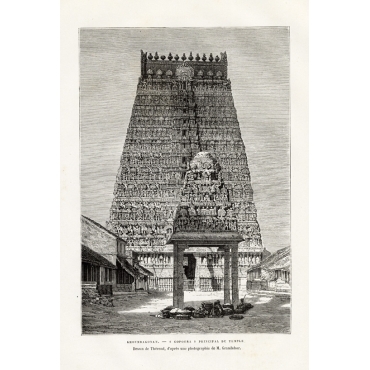 Old prints of churches, church interiors, temples, religious ceremonies, gods/deities and other prints related to religion. Grote collectie antieke religieuze prenten. Oude prenten van kerken, kerk interieurs, tempels, religieuze tradities, goden en andere prenten die te maken hebben met religie/godsdiensten. 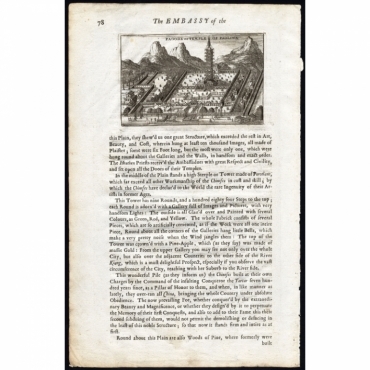 Antique Prints | Religion There are 531 products. Temple at Tumai, Lew Chew. Bridge of cut stone & entrance to a temple, Simoda. 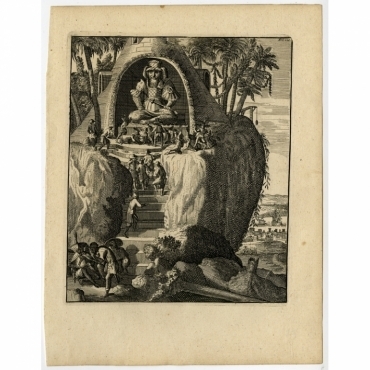 Plate: 'Pagode or Temple of Paolinx'. 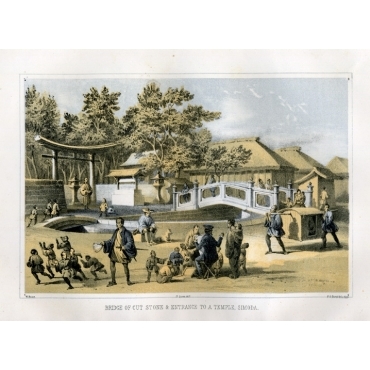 This plate shows The Paolinx Pagoda, a Chinese religious building. 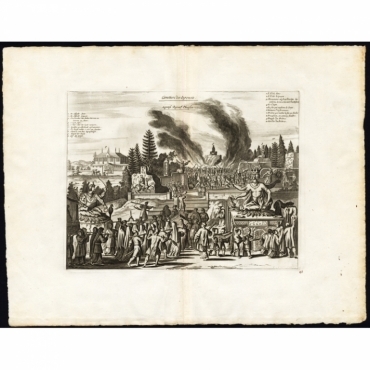 Plate 43: 'Cimetiere des Japonais / Japanse Begraaf Plaetsen.' 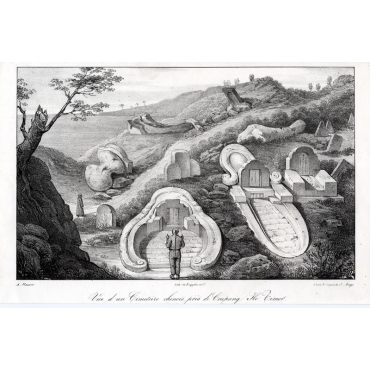 (Japanese burial ground / graveyard.) This plate shows a Japanese funeral ceremony with several statues of idols / deities: Iene, Ziquam. Extremely rare in this edition. 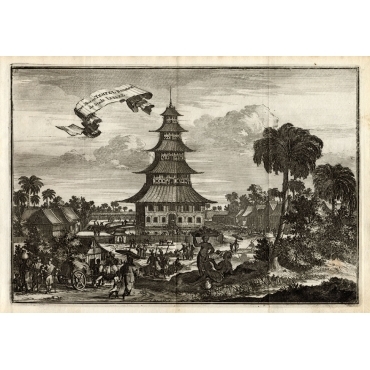 Plate 34: 'De Groote Temple buyten Saccay - Grand Temple proche de Saccai en Japon.' (The Great Temple outside of Saccai.) This plate shows a Japanese Temple, on the foreground are cows, goats and a dog. Extremely rare in this edition. 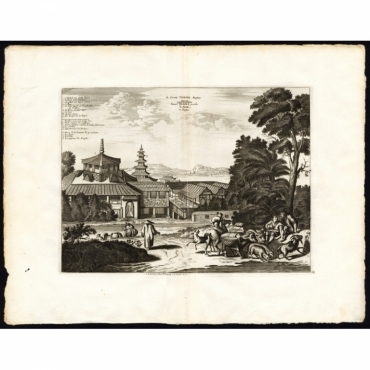 Plate: 'Temples a Patan'. 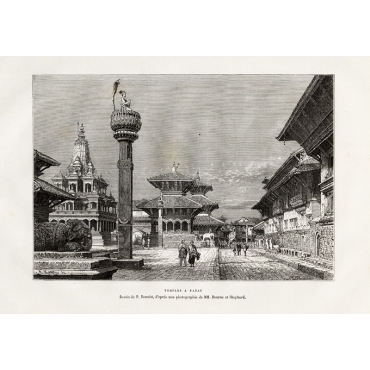 This plate shows the temples in Patan in Nepal. The Old Royal Palace and Hindu Temples. Plate: Khoumbakonam, 'gopoura, principal du temple'. This plate shows the Gopuras temple. This Gopuras temple is one of the well known temples in Kumbakonam. 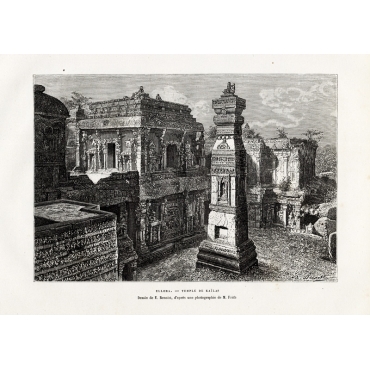 Plate: Ellora, 'temple de Kailas'. This plate shows the city Ellora including the Kailashnath temple. Plate: Temple de vichnou en forme de Char, dans les ruines de Hampi. This plate shows the Vishnu Temple often termed the Dashavatara Temple. 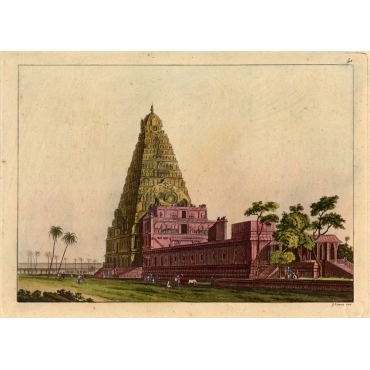 The temple is one of the earliest Hindu stone temples to still survive today. 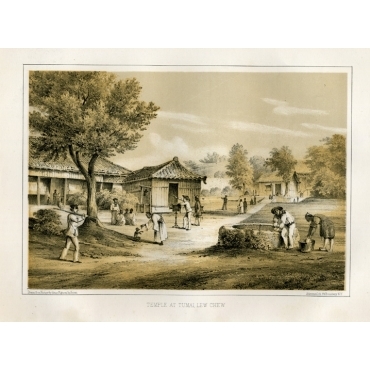 Plate: Agra, 'le tadj mahal'. 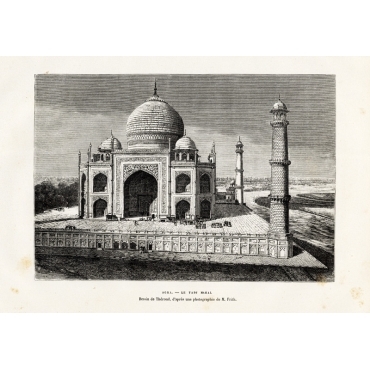 This plate shows the famous Taj Mahal which is a white marble mausoleum located in Agra, India. Plate: Ahmedabad, 'Portail de la grande mosquee'. This plate shows the Jama Masjid mosque of Ahmedabad.